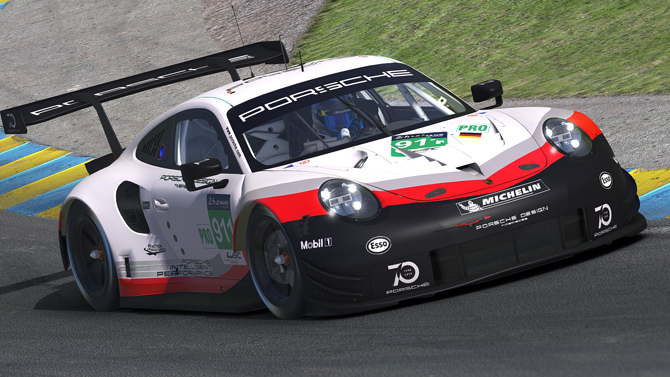 The first mid-engine Porsche 911 is the RSR and it features a 4.0 liter, normally aspirated engine that produces 510 hp. 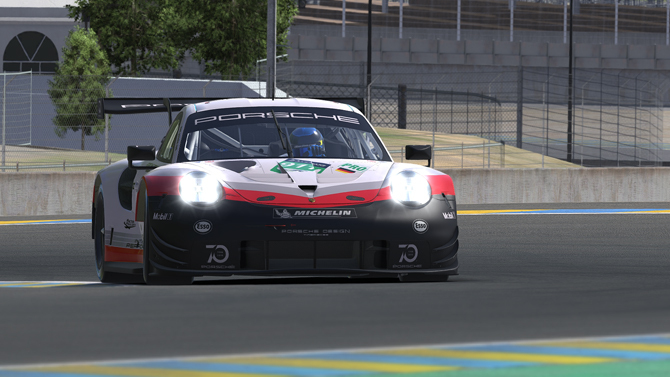 Purpose built for racing, the car is raced worldwide in the LM-GTE category in series including IMSA, WEC and Le Mans. 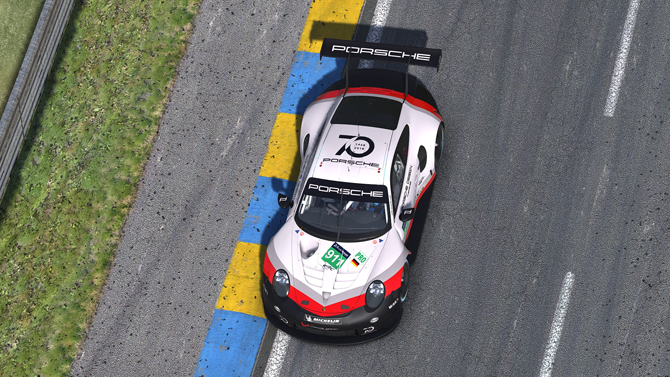 The 911 RSR is Porsche through and through. With its aggressive styling cues and familiar silhouette, the flat-6 six engine literally screams at you when you accelerate out of corners. 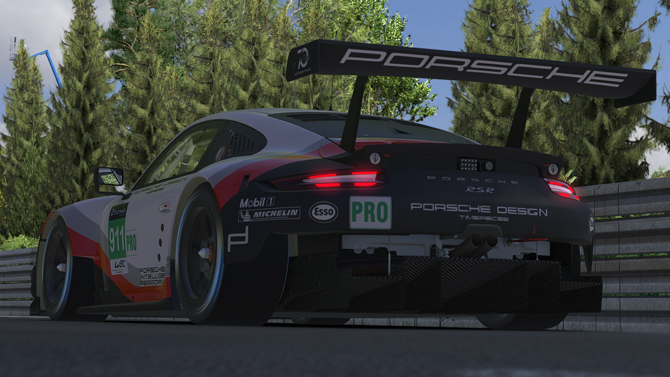 Weighing in at a mere 1,243 kg (2,740 lbs), the RSR is a well-balanced race car with massive brakes for unrivaled stopping power and a newly designed 6-speed sequential gearbox that allows for lightning changes up and down through the gears. 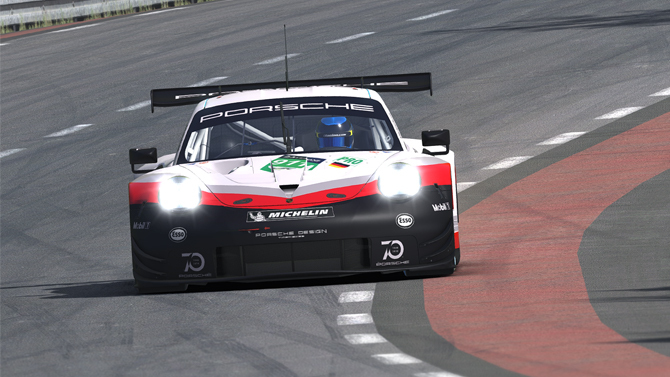 The 911 RSR will be found in iRacing racing against its GTE rivals including Ferrari and Ford. This page was last edited on 30 March 2019, at 09:25.